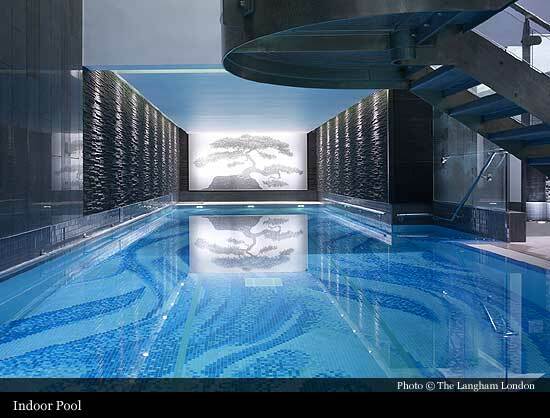 Although its grand opening was quite an event, the months that followed were not so glorious. 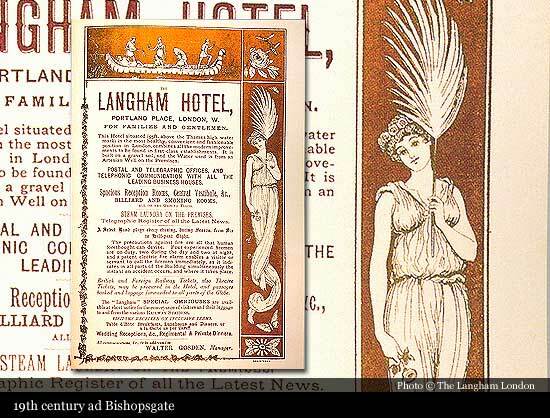 In 1867, Britain was facing an economic crisis and England’s then premier earl, the Earl of Shrewsbury, President of the company that owned The Langham, was forced to liquidate the company. 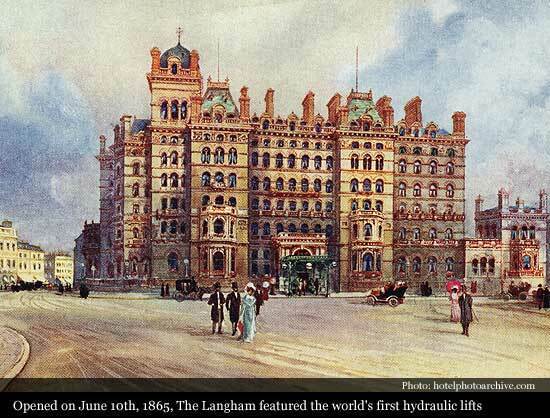 In 1868, The Langham was purchased by the Court of Chancery for £155,715, little more than half what it had cost to build. 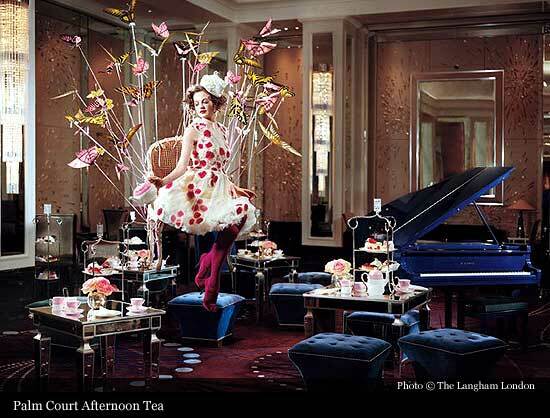 Commercial success started when US Confederate Officer Captain James Sanderson was appointed general manager in 1870 and The Langham soon developed an extensive American clientele. 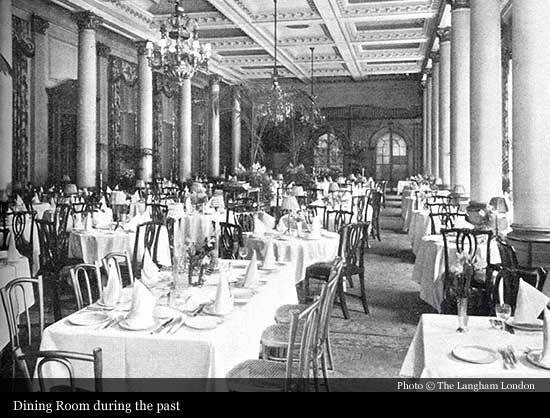 During the Great War, The Langham was one of the few hotels not commandeered for a hospital and the guests who stayed continued to enjoy an excellent service. 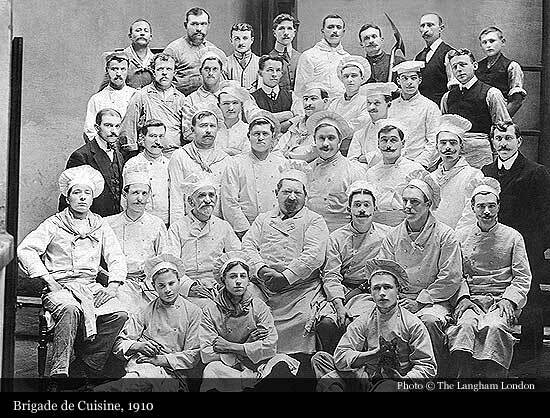 The only notable interruptions to the hotel during this period were the Zeppelin raids, where guests were asked to shelter in the hotel basement. 1920’s and 30’s guests included W. Somerset Maugham, Noel Coward, Charles Laughton, Anna Neagle, Gracie Fields and the exiled Emperor of Ethiopia, Haile Selassi. 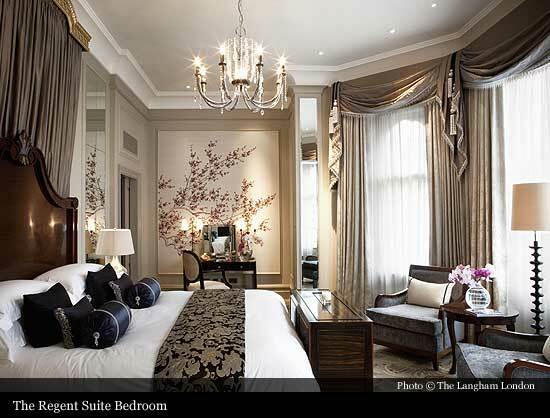 During her controversial courtship with Edward VIII, Mrs Wallis Simpson also stayed at The Langham. 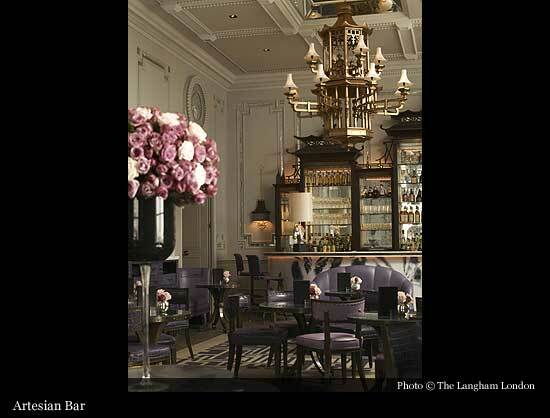 Despite the Hotel’s popularity with London’s rich and famous during the 30’s, the depression had a huge affect on the hotel. Shares fell and unsuccessful negotiations with the BBC took place, to buy the building for £500,000. In 1940 the BBC was granted a part tenancy for storage and effects, and later moved some of its offices and recording studios into The Langham in 1945. 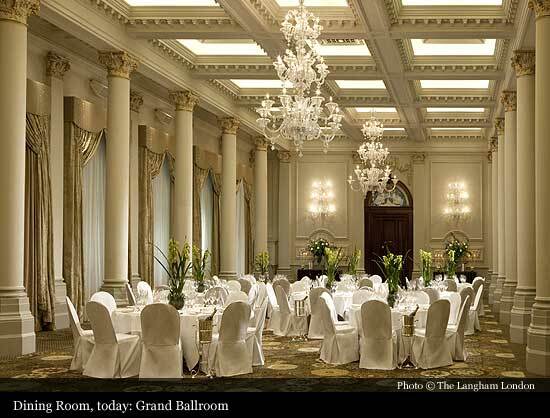 During the Second World War, The Langham became a venue for a platoon of soldiers and was turned into a local first aid post. 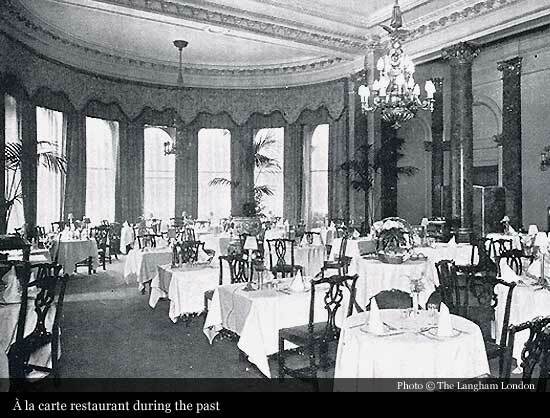 In 1939-41 air raids and evacuations take their toll and in December 1940 bombs destroyed the West Wing, setting fire to the roof and fracturing the water tank, flooding the building and forcing The Langham to close its doors. 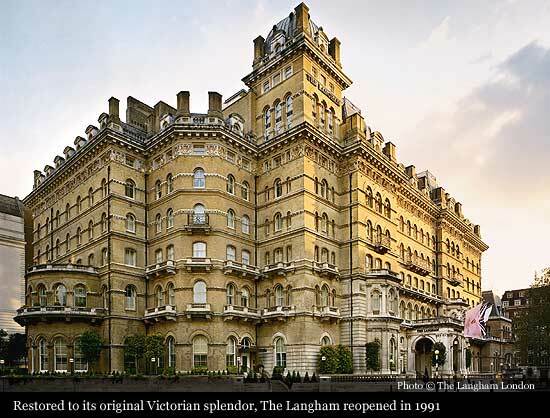 In 1965, The Langham was bought by BBC in its entirety. 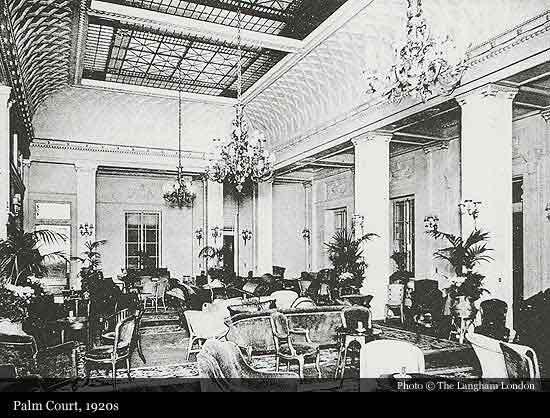 The Palm Court housed the eponymous Palm Court Orchestra, BBC comedy acts such as The Goons with Peter Sellers were recorded at the hotel, the ballroom became the BBC Record library and the bar, the BBC Club. In 1980, the BBC applied for permission to demolish the old Langham building and to redevelop the site by building a new office block designed by Sir Norman Foster, but the permission was declined. 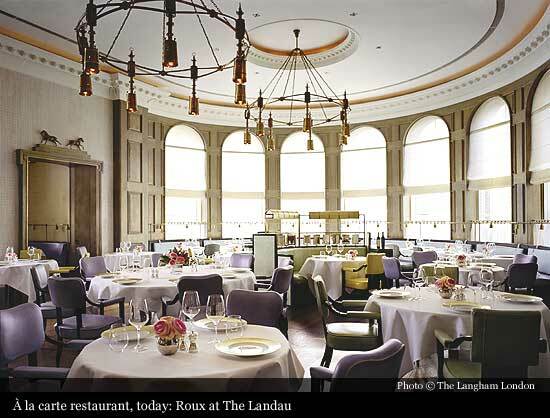 Six years later The Ladbroke Group purchased the hotel for £26 million and set about returning The Langham to its original Victorian splendour. 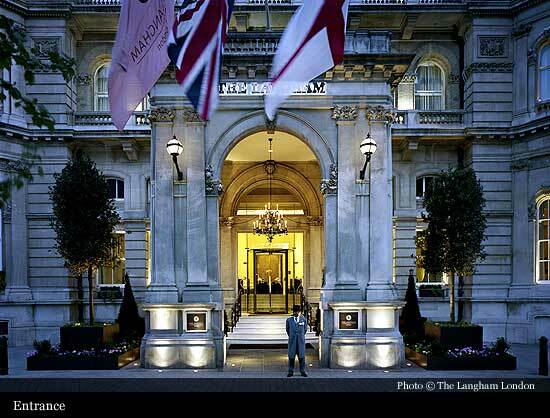 In 1991 The Langham Hilton was officially opened and the hotel again played host to a regular stream of famous visitors including Diana, Princess of Wales, Rod Stewart, Elton John, Richard Gere and Cindy Crawford, Martin Sheen and John Major. 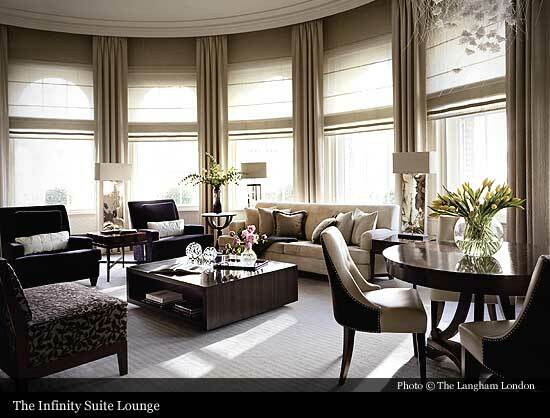 Until 2004, The Langham, London was operated by the Hilton Group when the contract expired and the management was passed to the Hotel’s owning company Langham Hotels International, the hotel arm of Great Eagle Holdings, based in Hong Kong. 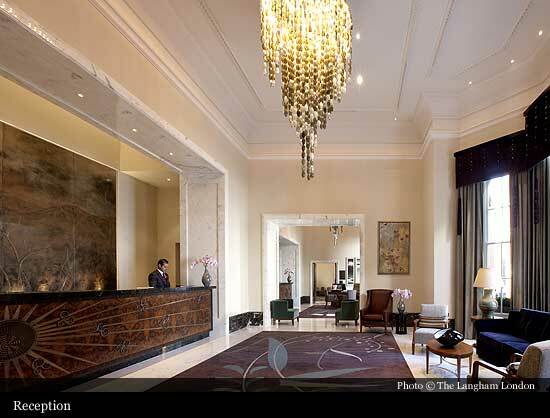 Under this new management began the hotel’s re-awakening as one of the most important and stylish 5 star hotels in London and one of The Leading Hotels of the World. 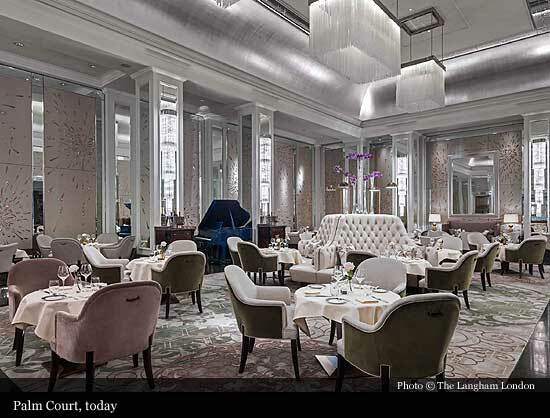 In 2009, The Langham, London unveils an extensive programme of restoration that has taken five years and a remarkable £80 million to complete. 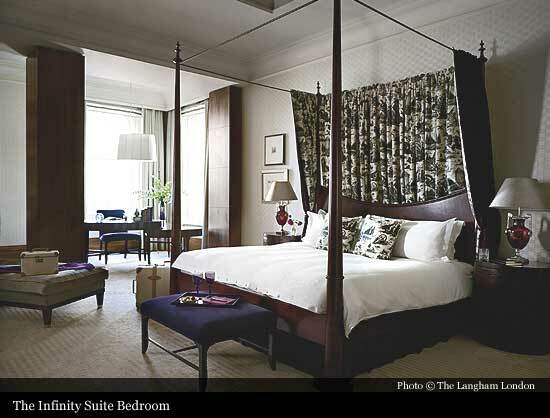 The Langham became a filming location on several occasions: In 1995, in the James Bond movie "GoldenEye" hotel's exterior played Grand Hotel Europe, fictionally located in St. Petersburg, while in 2006, "Garfield: A Tail of Two Kitties" brought cameras back to this prestigious London address.